Great article about the manifestation of women’s role in society through fashion. 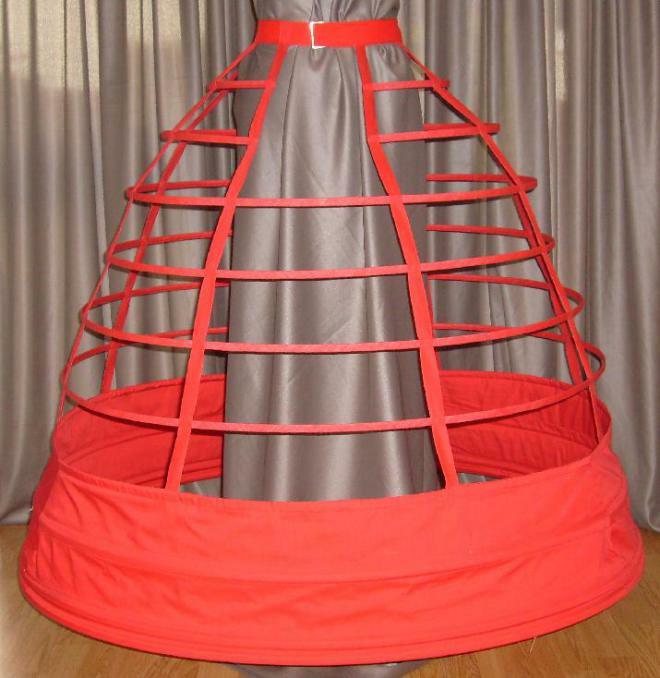 The basic structure of a crinoline is a cage, so a woman wearing a crinoline is actually trapped inside a cage, unable to run or move about freely. If there was ever a more powerful metaphor to sum up the restrictions of a Victorian woman’s existence, I can’t think of one. 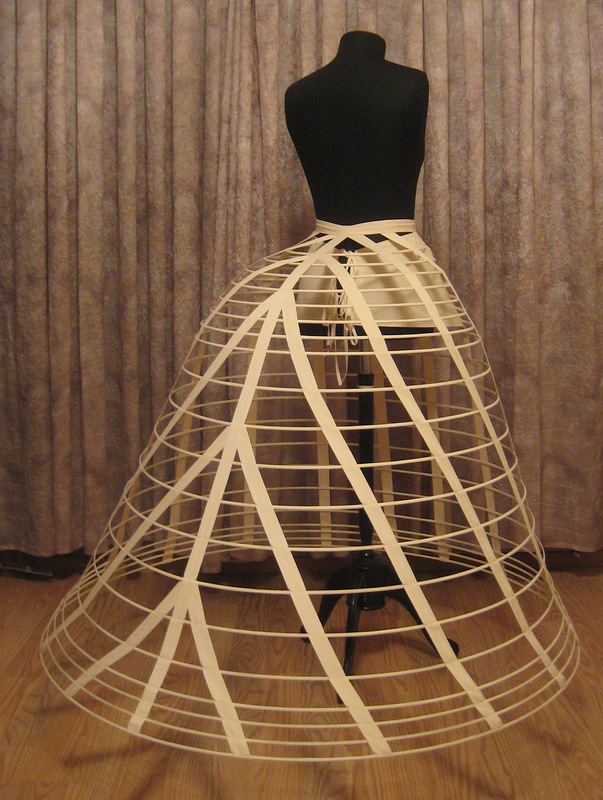 As both a writer and a feminist, to me the crinoline sums up worst behavioural excesses of the Victorian era. Very interesting. I read one book a while back (and I can’t remember what it was now – might have been “The Happiness Myth”) which made the point that while Victorians put their bodies in cages, now we make the body itself the cage. I.e. they wore corsets and crinolines to make their bodies conform from the outside; now we have diets and plastic surgery which force our bodies to conform from the inside out, as it were. Victorians were restricted from the outside; we restrict ourselves. Ooo, good points. On a lighter note, the purple crinoline really reminded me of a Dalek. Am I the only one?